Dragon of Falkenberg Castle Moat Lawn Statue. 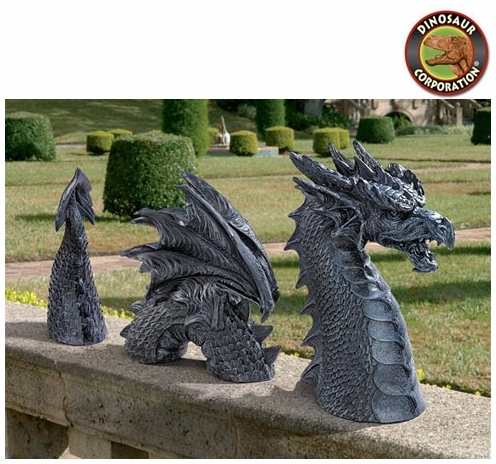 True gothic dragon garden art, this almost life-like dragon sculpture is complete with scales, wings and a treacherous tail. 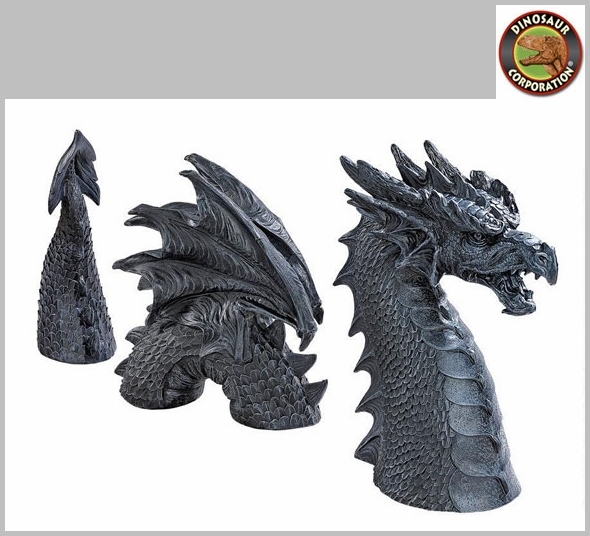 Hand-finished in charcoal gray stone, it arrives in three pieces of quality designer resin. * Size: 28" L x 7" D x 14�" H.